nullcon‍ was founded in 2010 with the idea of providing an integrated platform for exchanging information on the latest attack vectors, zero day vulnerabilities and unknown threats. Our motto - "The neXt security thing!" drives the objective of the conference i.e. to discuss and showcase the future of information security and the next-generation of offensive and defensive security technology. The idea started as a gathering for researchers and organizations to brainstorm and demonstrate why the current technology is not sufficient and what should be the focus for the coming years pertaining to information security. In addition to security, one of the section of the conference called Desi Jugaad (Hindi for "Local Hack") is dedicated to hacking where we invite researchers who come up with innovative security/tech/non-tech solutions for solving real life challenges or taking up new initiatives. The nullcon conference is a unique platform for security companies/evangelists to showcase their research and technology. Nullcon hosts Prototype, Exhibition, Trainings, Free Workshops, null Job Fair at the conference. It is an integrated and structured platform, which caters to the needs of IT Security industry at large in a comprehensive way. The event consists of 25 speeches and 11 training sessions, which cover all major topics of IT security industry. The conference is created for security companies/enthusiasts so they can showcase the most up to date research and technology on the topic. The shared knowledge is usually used afterwords within the organizations. Moreover, we host Exhibition, Free Workshops, CTF Hacking competitions, Job Fair, BlackShield Awards and other events at the conference. The Keynote will be addressed by Joshua Pennell, Founder & President, IOActive, following which we would have talks by various international security researchers on topics such as, ATM Hackings, Drone Hijacking, Telecom Protocol Security, Blockchain issues, Cloud Security, Bug Hunting, Social Engineering, Botnets and lots more. Larger exhibition vendor area etc. Holiday Inn Resort, Mobor Beach, Cavelossim, Salcette, Goa - India. We are happy to announce that we are giving 10% discount for a conference pass if you are E Hacking News Reader! Don’t miss your chance to visit the leading Asia's Information Security Conference! 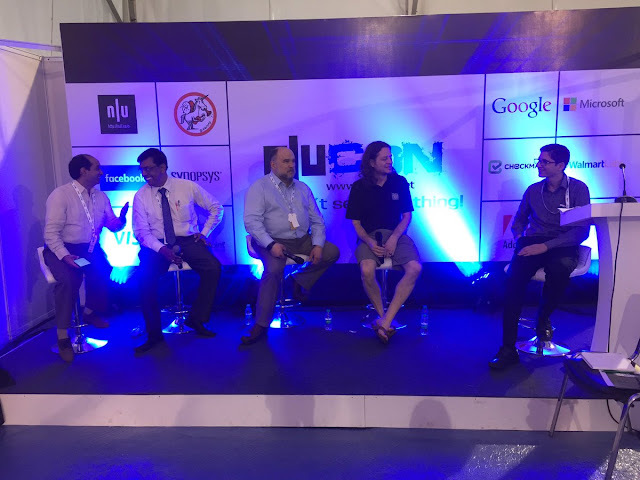 Recently we witnessed the glory of NULLCON unfold, it is said to be India’s largest security conference. As this was happening in Goa, my friend Nikhil.P.Kulkarni @nikchillz caught up with one of the guy behind NULLCON, it was none other than Antriksh.D.Shah and when asked about NULLCON, this is what he happened to say. EHN: Hello Antriksh, happy to see NULLCON 2013 starting off with a bang here in Goa. Antriksh: Yeah, its really good to see that more number of people have registered this year than the previous years, and moreover we’re happy that this happened with just the word that spread from mouth to mouth. EHN: So, what new do you see this time that you guys never saw in the previous years. Antriksh: Well, this time we were really happy to see that more number of students are registering themselves than the corporates. That’s what makes us feel proud. And the best part is we’re going to be witnessing the presence of CM Of Goa Mr. Manohar Parrikar. 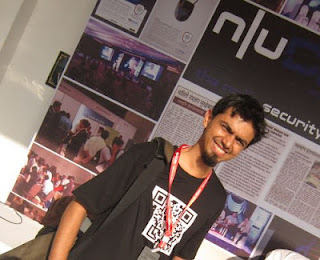 EHN: Oh cool, I just happened to see the List of Talks at NULLCON 2013, and I was amazed to see more number of youngsters speaking at the conference this time. So what do you have to say about this..? Antriksh: Yeah, its really happy to know that the young blood here in India are doing such great researches and NULLCON is proudly giving them a platform to showcase their research and we encourage them in all possible ways. EHN: Oh great to hear that, and what do you have to say about the venue. Any particular reason for choosing Goa. Antriksh: Well the main reason that we chose Goa was this is the place where people come, relax, enjoy the beach. And when people come down here to Goa, they forget all their worries and just chill out. So that’s the reason we came up with this venue. EHN: And here’s my last question, NULLCON is also famous for its evening parties, and last year we all saw the Belly Dancing happening. And what’s in store for this year’s NULLCON Networking Party. Antriksh: Well, this year we have planned for a trip to Casino, and asusual the party is going to be a huge hit. And its gonna be unlimited fun this time. EHN: Thanks a lot for sharing your time with us Antriksh, our best wishes to NULLCON and to all people associated with NULLCON. 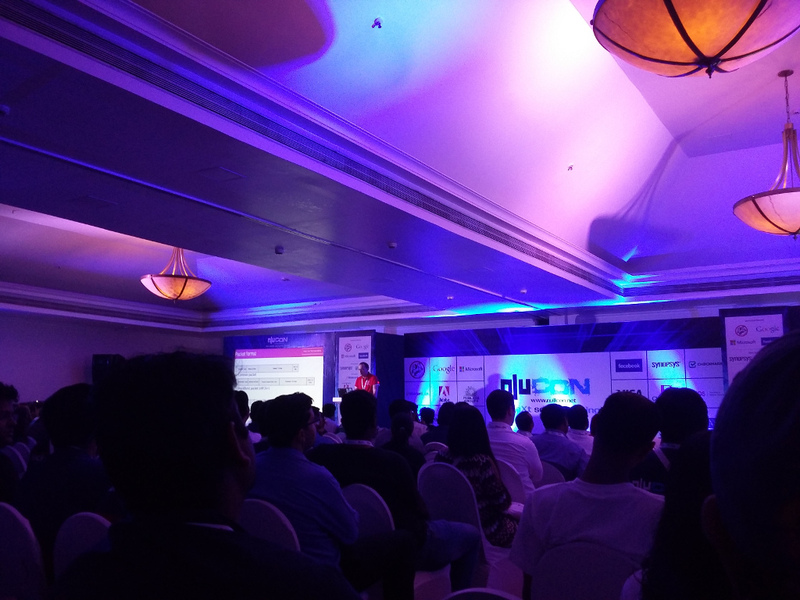 Nullcon security conference is well known for its speakers and talks where new vulnerabilities , risks and attacks on systems are responsibly disclosed along with their prevention mechanisms. Why Shoud You Attend ? nullcon is excited to host a special job fair organized for security professionalsand organizations. Nullcon job fair gives you open access to meet the heads of various security organizations, understand their requirements and offer them your competencies in return. It is an excellent opportunity for organizations to hire the best talent in information security industry and for security professionals to find better job prospects. nullcon job fair is a platform where prospective employer and employee can meet and interact with each other in an open environment. Hello Hackers, here's your chance to win a 3 free VIP pass for nullcon Delhi 2012. All you have to do is run over a few trivial puzzles and challenges and the golden ticket is yours. In case you have already bought the ticket don't worry we will reimburse your ticket if you win. The first 3 winners for Hackim will be enrolled for JailBreak Challenge in Goa 2013. JailBreak is a Challenge, with a twist, designed and developed by the nullcon team . Jailbreak tests your pwnage skill level under high stress. Are you ready to accept the challenge?then, you will need to create an account in order to participate in the challenge. Scoreboard for the challenge is available on http://ctf.nullcon.net. Read the rules and guidelines here . nullcon CTF HackiM will open Tomorrow night (7th September) at 20:12(GMT +5:30).